Not every hybrid brokerage is built alike. 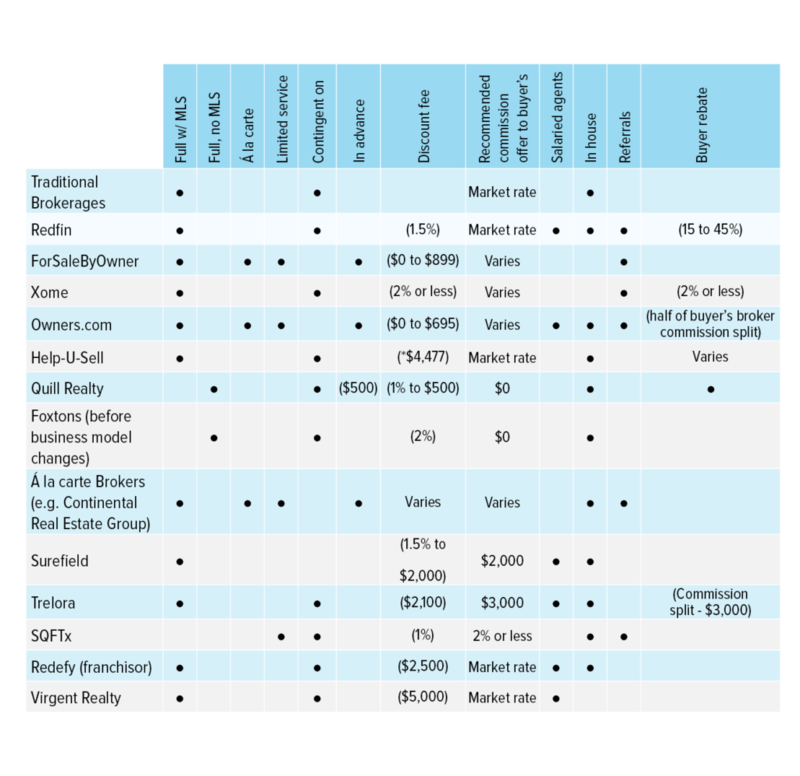 Here’s a chart outlining how they differ from traditional brokerages — and from each other. Read the full survey findings of our hybrid brokerage report — or download the PDF, exclusively for Select members. Join today! What should you do about hybrid brokerages? Here are 10 suggestions. We’ve compressed 30 years of hybrid brokerage models into a timeline — check it out. Start Inman Connect SF off right! Choose from three powerful events on Aug. 4. Reserve your spot now for Agent Connect, Broker Connect and Tech Connect. What should you do about the hybrid brokerage trend?